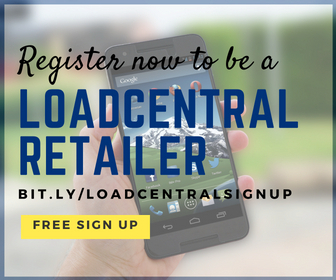 A notice of fund transfer or deposit must be made by the retailer by sending a text message or calling LoadCentral office to process the wallet replenishment. Loading time is betwwn thirty (30) minutes to two (2) hours. NOTE: Sending of incomplete deposit details or sending incorrect Syntax will nullify your SMS. To avoid any inconvenience, kindly follow syntax and complete your details. Doing live chat via Google Talk IM. The same information as above must be given. 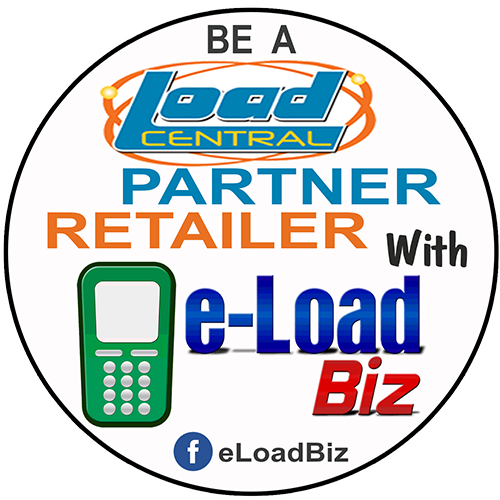 Customer Service Support: press "2"
Sending incomplete deposit details might delay the reloading process or lead to the cancellation of the request. To avoid any inconvenience, kindly send the COMPLETE details. Secure a CONTROL NO. 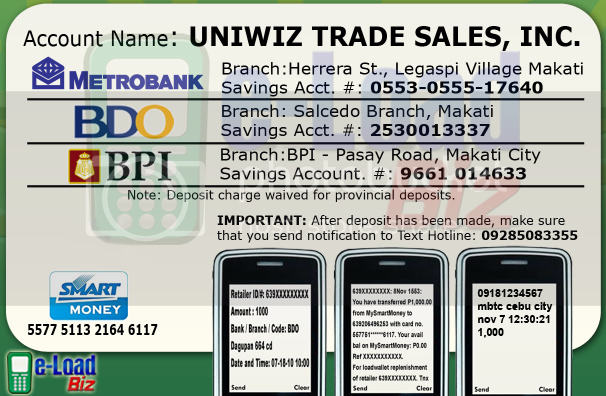 when calling the hotlines or a CONFIRMATION MESSAGE when sending details to the txt hotline. Sending multiple messages containing same deposit details will not help speed-up the wallet replenishment. Kindly refrain from sending duplicates to maximize the effiency of our TXT HOTLINE. We will highly appreciate your cooperation.